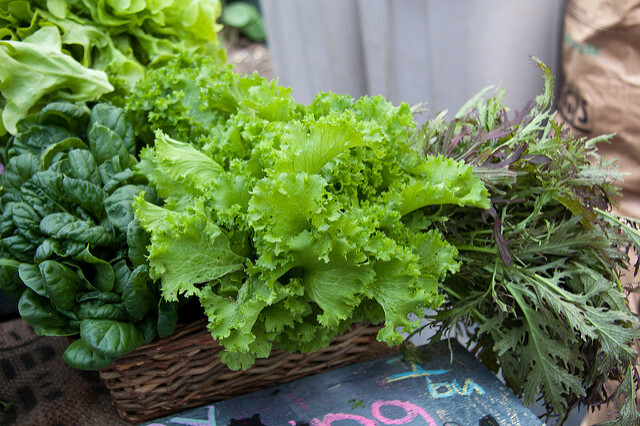 Can Eating Greens Fight The Blues? The modern world is designed to make us miserable. Not only do we have to do something which is unnatural for humans: live in enormous communities as productive worker bees, but we have also absorbed a bunch of cultural premises that are toxic to our well-being. How so? Firstly, we’re taught that to be happy; we also have to be successful. If for some reason we don’t make it, perhaps because of circumstance or bad luck, we see ourselves as failures. By definition, not everyone can be a success because we can’t all be top dog in our industry, but we continue to believe that we’re lazy or stupid if we don’t make it. Second, we’re taught that we can find the perfect romantic partner. “There’s somebody out there for everyone” - or so the saying goes. But the truth is that everybody has flaws. People have things that are good about them, and things that are bad about them. Nobody is perfect. And even if there are perfect souls out there, they’re so rare as to make hunting for them impractical. We can’t all have one. We have to make do with the person we’ve got. We could go on and on discussing the reasons why the modern world teaches us things that are destructive to our happiness, but you get the picture. The question is, is there anything we can do to fight back against the avalanche of misery that is our modern lives. Does what we eat matter? Greens are, according to some nutritionists, the healthiest foods that people can eat. Doctor Joel Fuhrman, an expert in nutrition in the US, says that greens rank among the top foods on his “nutritarian” diet because of their nutrient-density. You can get more nutritional bang per caloric buck with greens that with anything else. But the question is whether people who eat greens are happier than those who don't. A study by Dr. Redzo Mujcic in Australia found that people who eat their greens saw a dramatic improvement in their well-being. People who consumed more than eight servings of veggies and fruit every day, including greens, saw a significant increase in their welfare. What’s more, the study of more than 12,000 people found that the more greens people ate, the happier they got, seemingly without limit. Greens have been implicated in a number of scientific studies recently, notably those on cannabinoids. Scientists have found a new neural-regulatory system in the body which controls things like mood and anxiety. Green leaves seem to contain chemicals which activate this system and bring it back to homeostasis - reducing negative emotional feelings. The findings are so extreme, greens have found their way into an online dispensary - something that was once reserved for pharmaceutical-grade products. Eating more greens is easy. You don’t have to eat them boiled by the side of the plate. Try mixing them into smoothies, recipes, and adding them to sandwiches. If possible, stick with darker-colored greens from the brassica family, like broccoli, arugula, watercress, Brussel sprouts and bok choy.